Prince Carl Philip of Sweden is to marry former reality star Sofia Hellqvist in a lavish ceremony in Stockholm. Sofia Hellqvist, 30, also worked as a model and a yoga instructor before helping to set up a charity. Thousands of well-wishers are expected to line the streets for the event, despite polls suggesting the Swedish royal family’s popularity is waning. The Swedish media made much of Sofia Hellqvist’s past, which included posing for a men’s magazine in 2004. In 2005, she appeared on the Swedish reality TV show Paradise Hotel, in which singletons compete to stay in a luxury resort. In response to the media interest, Sofia Hellqvist told Swedish television that she had long since moved on. She said: “I don’t regret anything. All these experiences have made me the person I am. Amid rumors that her past had caused disquiet among the royal family, the palace has emphasized her charity work. In 2010, Sofia Hellqvist co-founded the Project Playground charity which helps disadvantaged children in South Africa. She has also worked as a volunteer in several African countries. Sofia Hellqvist, who is from the central Swedish town of Alvdalen, also studied accounting in New York in 2005 and worked there as a yoga teacher and a waitress. On Friday evening, more than 200 wedding guests attended a dinner in honor of the couple on the island of Skeppsholmen. 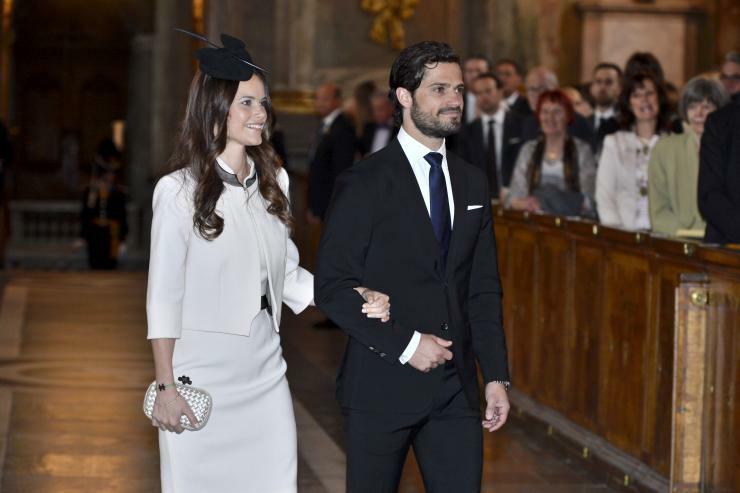 The wedding will take place at the Royal Chapel, or Slottskyrkan, in Stockholm on June 13. Prince Carl Philip is third in line to the throne behind his elder sister Crown Princess Victoria and her three-year-old daughter, Princess Estelle.